It was just last week that co-op was added to the very in-depth, very massive space sim Elite: Dangerous. While the game is currently a PC title only, there are plans for the game to arrive on Mac, Xbox One, and Playstation 4 at some point in the future. When it does, it will bring the Wings expansion with it. I've seen a lot of footage of this game being played; most of that being people figuring out how to get their ship working and flying. Based on this trailer, though, I'm starting to get interested. Particularly if all of my wingmen are British. 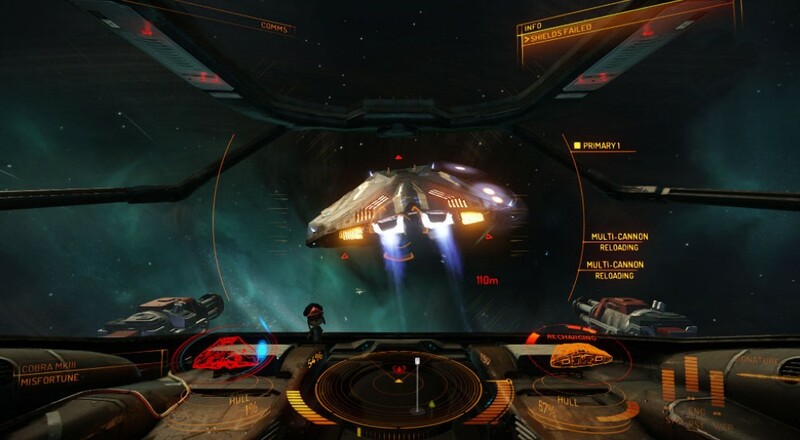 Elite: Dangerous is currently available from the developer's website. It's slated for a spring 2015 release for Mac, and an Xbox One/Windows 10 release Q2/Q3 this year.